On a rainy evening, a cup of steaming hot tea sounds like a good idea right? Well, mix it up with a little snack or nothing, but tea is surely one of the most enjoyable beverages of all times. Did you know that when you have a cup of tea you are actually having something which is beneficial for your health? There are various health benefits that tea has, but it has to be either green tea or liquor tea, that is, tea prepared without any milk or sugar. Tea is best had boiled in water which not only gives off a beautiful aroma but is also really beneficial for your health. There are some places in the world which are particularly known for tea like China, India and Sri Lanka, and hence, if you order yourself a packet of single estate tea, then get ready to taste the best of the best with the most health benefits. The environment is full of pollution which is increasing with each passing day. This makes our skin rumpled and makes it dull and dry. Well if you want to prevent that and protect your skin from the harsh effects of pollution, then you can surely be benefited a lot by having a cup of liquor tea every day because tea leaves are full of antioxidants which helps us to stay fresh as well as makes our skin younger! There are a lot of theories as to how strokes and heart attacks can be prevented or kept at bay and one of them suggests that one should drink a cup of tea every day in order to do that! Studies have shown that drinking around 3-4 cups of green tea can decrease your propensity to heart attacks or sudden strokes to a very large extent. So if you want to keep yourself fit, you might want to include this as a part of your diet. Our liver is the most important organ of our body since it performs the task of ridding the body of all forms of toxins. If your liver function has been compromised, then in order to restore it back to health, you can add a cup of green tea as a part of your routine and see the wonderful effects it has on improving the strength and vitality of your liver. 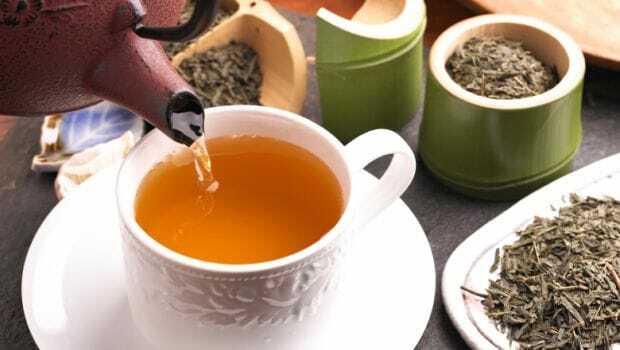 Both liquor tea and green tea are great for metabolism and hence if you want to lose that excess fat that you have, then you may try this out. You will, of course, have to exercise along with it, but this will act as a weight loss catalyst. Another huge benefit that tea has, especially when it is basil flavoured is that it can give your immune system just the boost that it needs. This will definitely go a long way in keeping those unwanted diseases away! The benefits of tea too many to pin down! So simply add it as a part of your diet and see miraculous changes in just a few weeks.